How to watch Surviving Escobar - Alias JJ: Season 1 (2017) on Netflix Canada! 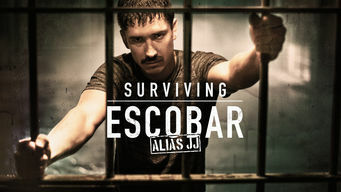 Yes, Surviving Escobar - Alias JJ: Season 1 is now available on Canadian Netflix. It arrived for online streaming on October 3, 2017. We'll keep checking Netflix Canada for Surviving Escobar - Alias JJ: Season 1, and this page will be updated with any changes. As the Medellín Cartel crumbles, Pablo Escobar's No. 1 hit man struggles to stay alive and gain respect in the prison hierarchy. He killed hundreds of people as Pablo Escobar's top hit man. Now his own life is on the line in prison. Season 1 of Surviving Escobar - Alias JJ has 60 episodes. Because different Netflix countries have different availability for episodes, you'll need to check the episode listing below to see which are available in Canada. After committing countless murders, JJ turns himself in to serve time in prison, but an unexpected twist leaves him vulnerable and exposed. 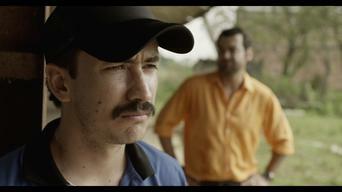 The lives of JJ's wife and mother-in-law are threatened as Escobar's associates start being murdered. JJ discovers Mahecha's plan to help 3H escape prison. Alexandra is anxious to escape police custody with her mother. JJ offers Mahecha a new plan for 3H's escape. Alexandra seeks medical help for her mother while on the run from authorities. The investigators interrogate Rosa. 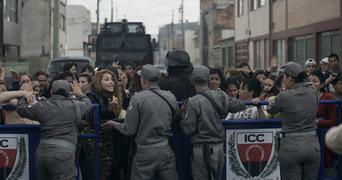 The paramilitary prisoners continue to hold hostages and make demands. Alexandra's jealousy overwhelms her loyalty to JJ. Meanwhile, JJ and Mahecha make another attempt at securing 3H's freedom. The prison director refuses to publicly reveal that the prisoner head count is off. JJ learns that Alexandra believes he's been unfaithful. JJ is stabbed in the back as someone turns on him, and the number of enemies he has in prison rises. Alexandra suffers a loss. Mahecha continues to be at odds with his wife. El Potro revels in what he has discovered. JJ strikes a deal with Urrego prior to his testimony, but El Potro releases information on the Cartel del Valle that threatens JJ's pact. 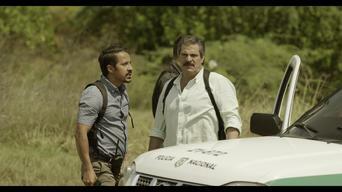 Alexandra and Caspa try to find a hidden stash of money from Escobar's fortune. El Potro looks to form new alliances. Urrego threatens one of JJ's bodyguards. JJ is badly injured in a gunfight and hospitalized. After a murder weapon is discovered in his cell, JJ's prison sentence is extended to 30 years. He takes out his anger on Alexandra. JJ conducts an interview with a media outlet to make accusations against politicians and government officials. 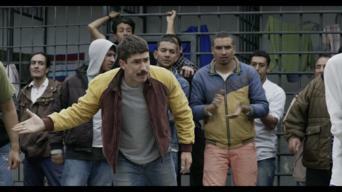 Clemente suspects that the soccer tournament requested by the prisoners is not as innocent as it seems. Alexandra gets closer to Gabriel. 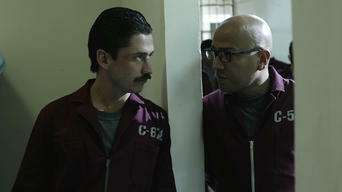 The break-in at Clemente's house gets him closer to uncovering who is smuggling drugs into the prison. 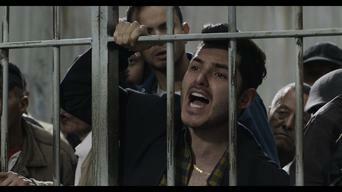 Gabriel is invited to sing at Urrego's 50th birthday at the prison and is confronted by JJ about his affair. Galeno attempts an escape. JJ's lawyer threatens Alexandra with imprisonment if she snitches on her husband. The media air news about Gabriel's involvement with authorities. 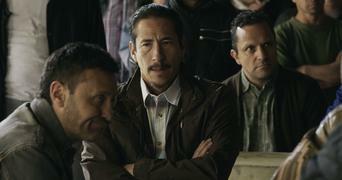 Urrego and JJ try to get Bachué drunk, hoping he'll admit he kidnapped the ex-president's brother. 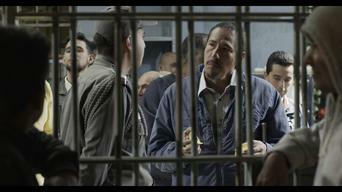 JJ plots to rescue the ex-president's brother by having the government help him escape prison with Bachué. Will the plan work? JJ's latest prison reduction deal is put at risk. Meanwhile, a young woman becomes enamored with him and visits the ex-hit man. Urrego fears his punishment for sexually assaulting a nurse. 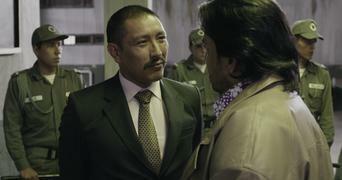 JJ tries to strike a peace deal between the paramilitary and guerilla leaders. 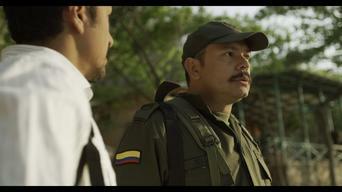 Mónica gets involved in the negotiations between the paramilitary and guerillas. Urrego questions his wife about El Potro. Mónica works hard to try to get JJ transferred back from Valledupar prison. Things get heated between her and Clemente. Urrego and JJ come to an agreement about how to deal wth El Potro. Danilo Pineda is offered a plea bargain in exchange for spying on JJ. 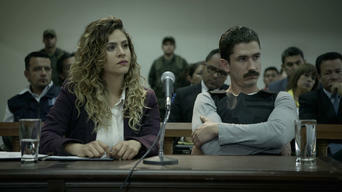 Urrego is told he is being extradited to the United States and tells Mónica he feels betrayed by her. JJ seeks Jennifer's help. Cecilia and Clemente argue over her brother's actions. JJ wants to start selling acid as part of his drug business. Jennifer shocks Caspa with her first murder. JJ's book business is in danger when six books go missing as authorities investigate him. Lorenza is angered when she finds out Urrego's nephew is going after his uncle's estate. 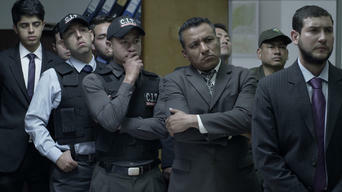 JJ relies on Jennifer for help with selling drugs to the U.S.
El Potro is being protected by Castañeda, to Mahecha's frustration. A strict new guard starts working at the prison. Ana María discovers more information while looking into Caspa, and a young journalist is put at risk. Clemente is asked where inmate Ramiro Méndez is. Ana María starts to realize what JJ is doing with his book sales and acid business. Jennifer works on business connections in Miami. Jennifer gets into serious trouble while in Florida. Castañeda takes matters with Lorenza into his own hands. JJ is once again investigated. News of the missing prisoners hits the media, putting Clemente's job at risk. Jennifer's mother speaks to Ramos about her daughter. Ana María is concerned about her colleague Janeth's safety. Ramos finds a source close to JJ who is willing to snitch on the drug operation. Janeth is discovered in grave condition. Ramos presses Caspa to turn on JJ. Mahecha denies any involvement in the kidnappings. JJ is desperate for his lawyer to help Caspa before he sells him out. Galeno is angered by how the operation in the jungle is turning out. 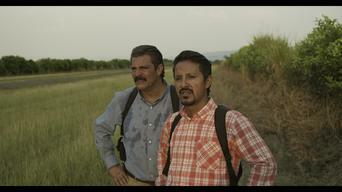 Following her colleague's death, Ana María's own life is put in danger after Mahecha orders her murder. JJ expresses his gratitude to Ana María for granting him so many interviews. While at the hospital, Janeth suffers flashbacks from her assault. Janeth remembers the face of one of her attackers. Ana María is conflicted about her journalistic ethics and backs away from her JJ interviews. Ana María makes a startling discovery about her connection with one of JJ's first murder victims. A popular beauty queen promises to visit the prison. Janeth returns to work and vows to bring her attackers to justice. Urrego's return to prison complicates matters for JJ. Urrego seeks revenge on his nephew for his betrayal. Janeth heads to court for the trial of her kidnapping and assault. 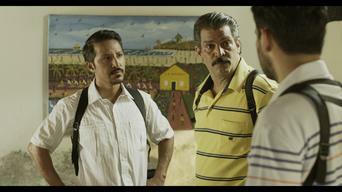 Mahecha gets desperate and takes an unexpected person hostage. JJ is on to Ana María's plan to get him to confess. The hostage crisis ends in bloodshed. The guards crack down on security. Tito tries to pressure Ana María to give him the tape of her interview. 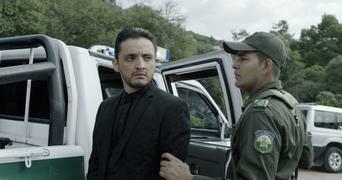 JJ goes to trial for the murder of Ana María's father. 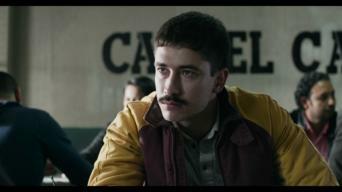 A new warden sets strict rules for the prison and has it out for Escobar's former hit man. JJ's treatment in prison continues to get worse, and he once again turns to the media to change public opinion on him. Ana María seeks out Alexandra in the hopes that she'll be JJ's Achilles' heel. Authorities discover JJ's lawyer's involvement in the drug ring. 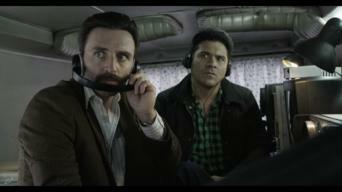 The DEA finds a new informant who turns on JJ out of fear. Dixon suggests the authorities have enough to extradite JJ to the U.S.
Alexandra's testimony is used at trial against JJ, and a judge adds more prison time to his sentence. The former hit man fears extradition to the U.S.
JJ is offered a deal in exchange for helping authorities capture an important drug trafficker, and he aims high in his negotiations. JJ's "rescue" by the Mexican cartel is a success, and he confronts Serrano. Ana María furiously questions the authorities about his escape. JJ's trip to see Alexandra puts the entire operation at risk. Ana María begins to look into Ximena's relationship with the guerrillas. 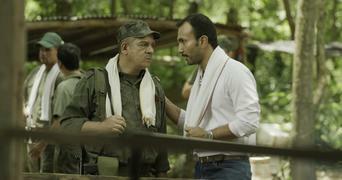 JJ tells Ana María her father helped Pablo Escobar, and she looks into his accusations. 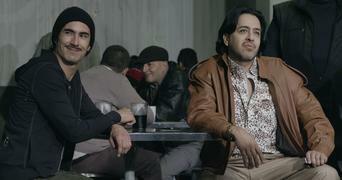 Genaro interferes in JJ's drug deal with the Mexican cartel. 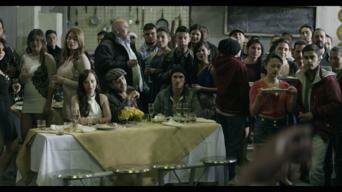 Ana María suffers a crisis of conscience while doubting her father's character. An explosive attempt is made on JJ's life. Ana María continues her personal investigation into JJ and is once again put in danger. Dixon is ordered to stop the JJ operation. Tello reveals the truth about Ana María's father and his relationship with Escobar, as well as what happened with JJ's escape. The time comes for JJ to trap the "Lord of the Skies," but his ambition threatens to get in the way as he's tempted to break his deal with the DEA. JJ holds a doctor hostage so that he can remove the tracking chip the police put in his neck. Ana María's reporting rattles the authorities. Serrano is interrogated and offered a deal. JJ tries to turn in the Lord of the Skies, but is he too late in changing his mind?